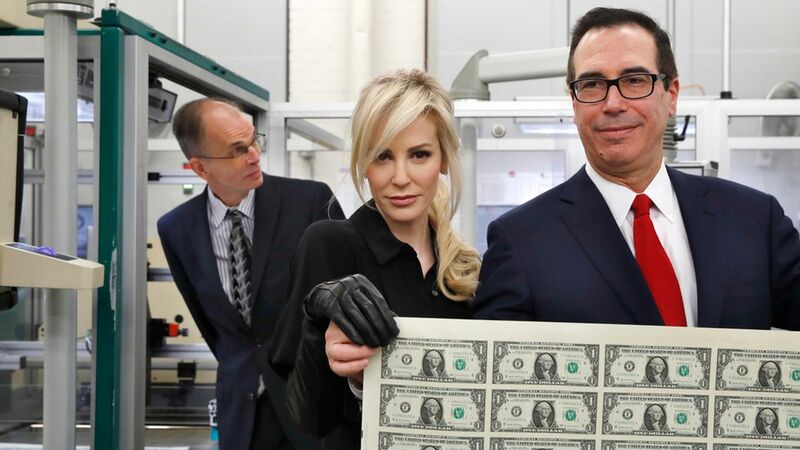 Treasury Secretary Steven Mnuchin and Treasurer Jovita Carranza visited the Bureau of Engraving and Printing to oversee production of the new $1 bills that will bear their signatures, per the AP. The new currency will reach circulation sometime next month. Fun fact: Both officials had to provide 10 sample signatures for to allow government engravers to choose official signature.